Producing Pure Water with membranes is the most non-polluting, ecological and economical way to generate pure / drinking water or water for production purposes out of ground water, well water, municipal water and from filtrates. This membrane technique is a solely physical process without any use of chemicals in the cleaning process depending on the kind of application different membranes and with different selectivity grades of membranes are used with the following membrane filtration. Pacific membrane filtration technology is specialized in standardized and custom tailored development and production of membrane technology with stationary and decentralized (mobile) station. Our facilities and possibilities are covering the complete services of environmental system solutions for industrial, municipal and domestic water treatment as well as drinking water purification. Moreover, systems for the production process section with the purpose of recycling are build to a greater extent for the food-, beverage-, chemical- and cosmetic-industry. We at Pacific strive to secure our customers access to the newest, most advanced and innovative technology available. The Sea- and Waste Water Treatment is our main and unrivalled activity, which is performed by our “DISK” component. This unique technology is also ideal for recycling production of various applications. 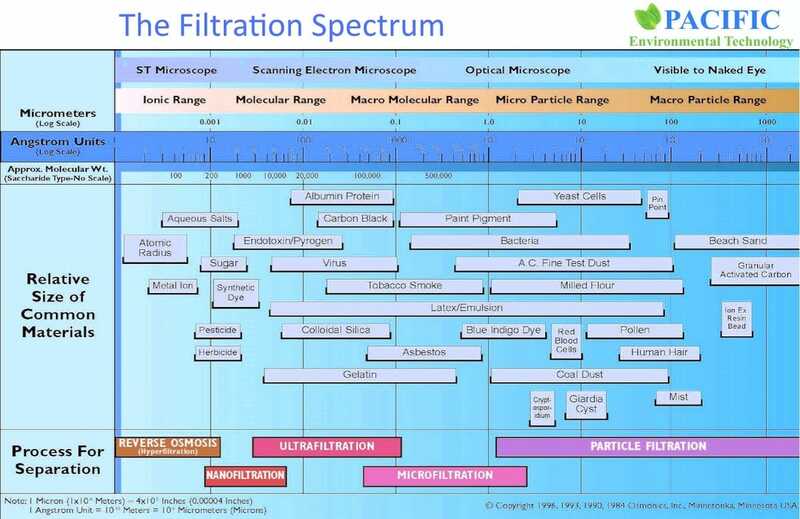 Our experts at PACIFIC Membrane Filtration Technology stays at your disposal.